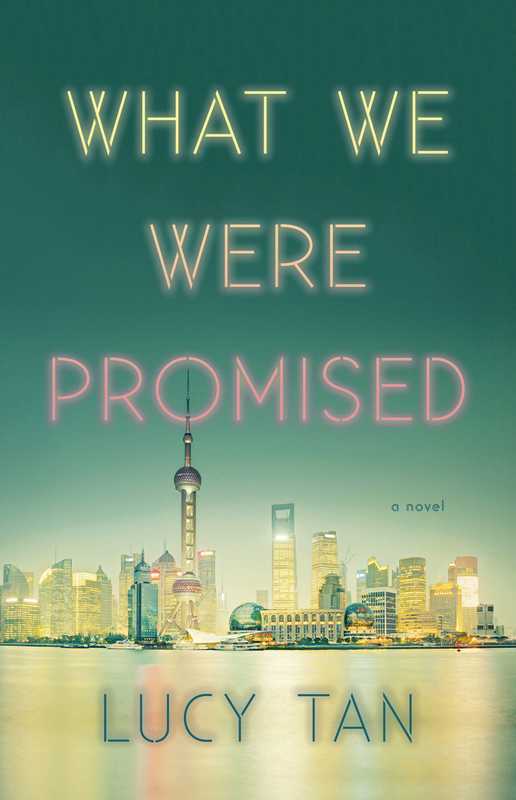 Lucy Tan is the author of the new novel What We Were Promised. 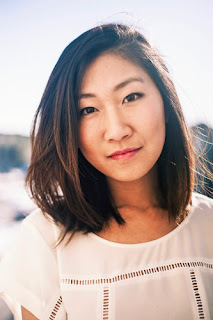 Her work has appeared in a variety of publications, including Asia Literary Review and Ploughshares. She is based in New York and Shanghai. Q: How did you come up with the idea for What We Were Promised? 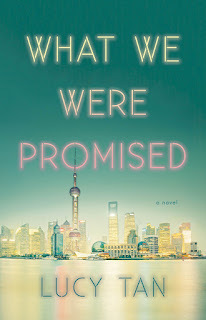 A: As an MFA student at the University of Wisconsin, I wrote a short story set in Shanghai about two hotel maids being accused of stealing a bracelet. The feedback from my workshop was that the story had promise, but was limited by the form. When my professor suggested I try writing it as a novel, I was relieved and excited. There was so much more I wanted to explore about the characters in that story, and turning it into a novel would allow me the space to do that. The short story I initially wrote became the basis for the first three chapters of the novel told from the point of view of Sunny, one of the housekeepers who services the Zhen family. Q: You tell the story from several different characters’ perspectives. How did you decide which would be your point-of-view characters? A: It was important for me to represent points of views from a range of social classes across China. Sunny is a migrant worker who has spent most of her life in the countryside. Lina and Wei Zhen represent the class of culturally elite Chinese who were educated abroad and have returned home with bifurcated national identities. By telling the story from these three characters’ points of views, I hoped to present a fuller picture of what it means to live in modern China. Allowing readers access to the story from these angles also meant that the Zhens’ family drama could be understood from both insider and outsider perspectives. A: I had no idea how the novel would end! I had a scene in mind, a place (both physically and emotionally) where I wanted to bring my main characters to allow for a resolution. Two of the main plot questions the novel asks are: Why has Qiang come home to the Zhens? Why did he leave in the first place? I didn’t fully know the answer to these questions until two-thirds of the way through writing the first draft. For most of that time, I worried that I wouldn’t be able to resolve the story in a surprising yet satisfying way. Writing without a plan can be a nerve-wracking, but I see no other way of doing it. For me, the pleasure of writing is not so different from the pleasure of reading, and the element of surprise is a big part of that. I like surprising myself as much as I like surprising the reader. It’s upon revision that I develop my characters fully. Knowing the ending makes it easier to shape the story in ways that clarify the characters’ intentions. I wanted to write for re-readers, for those who would want to experience the story again, once all the secrets are revealed. Q: The book is set in Shanghai. How important is setting to you in your writing? A: For me, the setting is extremely important. Choosing the setting for a novel represents a serious commitment—after all, you’re choosing the place where you’ll spend your working hours for the next few years! For me, that place must feel familiar and unfamiliar at the same time, a place I know intimately but which I won’t grow tired of exploring. The setting needs to feel as alive to me as any one of the characters in the story. A: I’m working on a novel about three actresses growing up in Wisconsin. A: I drew heavily from personal and family experiences in writing this novel. I spent two years in China after graduating college, living in a hotel much like the one in What We Were Promised. While my parents are very different from Lina and Wei, they were also Chinese-American ex-pats adjusting to life in contemporary Shanghai. Shanghai has changed so dramatically in the past 15 years. This novel is not only a family chronicle, but also a love letter to the city as it was in 2010—full of change and promise, but still caught in the shadow of China’s painful and rich history.